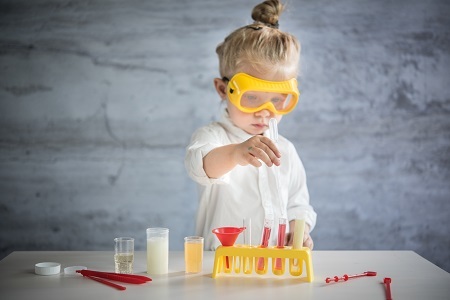 Immune development in your children is important, especially in their early years. 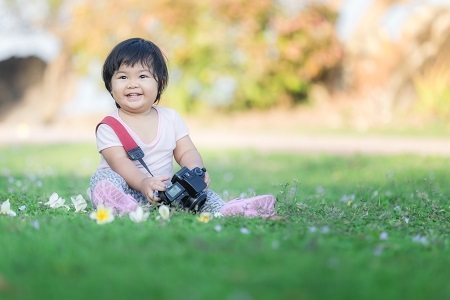 With 70% of the immune system being in the gut, it's vital that children get important nutrients, like prebiotics, to support and even strengthen their immunity. 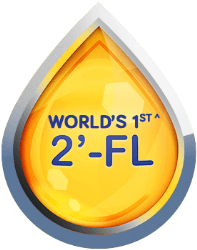 We're proud to present our latest paediatric nutrition breakthrough with 2'-FL. Abbott has pioneered over 15 years of research on this immune-nourishing prebiotic found in breast milk! 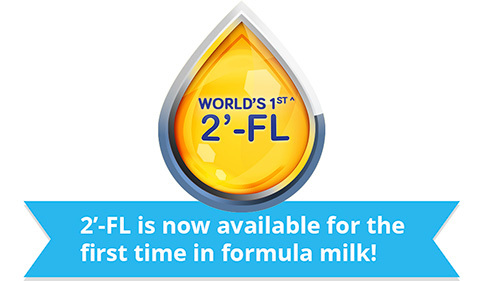 And now, 2'-FL is available in formula milk. Combined with nucleotides, an immune system developer, they support the strengthening of your child's natural defences. Let them grow, and help them learn fearlessly. Innate immunity is the body's ability to fight infection, like a base layer of protection. Adaptive immunity is how the body learns to fight harmful invaders as it encounter them. Your little one has 2 different systems of immunity – Innate and Adaptive. They work together to help support your child’s fight against diseases and infections. An immune nourishing prebiotic found in breast milk that supports a child’s innate immunity system. 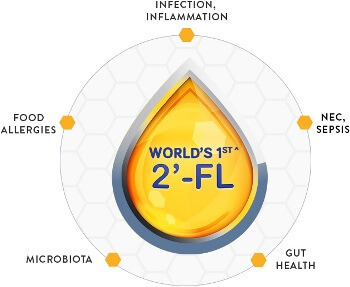 2’-FL feeds the healthy bacteria in the gut, allowing it to work better. 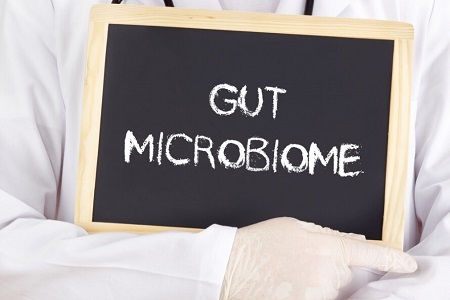 Having healthy microbes or bacteria in the little one’s gut is critical to immunity development. Learn more about 2'-FL here. Act as essential building blocks in the body. Studies have shown that it helps to build immune cells and trigger release of antibodies, which helps to support the immune system that kids develop over time. Building the immune system starts before birth and continues through the first two years of life. Providing the right nutrition at this stage is critical to support the development of the child's digestive and immune systems. As 70% of the immune system exists within the gut4, a well-development gut means stronger immunity for children. 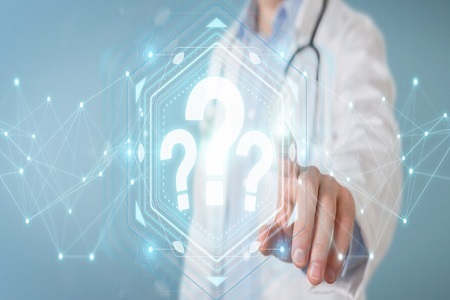 Based on our extensive 15-year innovation research, it has been suggested that 2'-FL is the most bioactive and multi-functional oligosaccharide* known to date. It supports the development of the immune system and may exert positive health benefits on the gut microbiome, such as reducing the risk of infection, inflammation and Necrotizing Enterocolitis (NEC)** as well as helping to support brain development. Furthermore, studies have also shown that 2'-FL is associated with reduced incidence of gastrointestinal and respiratory illness and less eczema***. * Ballard O, et al. Pediatric clinics of North America. Feb 2013;60(1):49-74. Vazquez E, et al. J Nutr Biochem 2015; 26(5):455-465. Good M, et al. Br J Nutr 2016; 116(7):1175-1187. Castillo-Courtade L, et al. Allergy 2015; 70(9):1091-1102. ** Castanys-Munoz E, et al. Nutr Rev, 2013. 71(12):773-89. Ballard O, et al. Pediatric clinics of North America. Feb 2013;60(1):49-74. Vazquez E, et al. J Nutr Biochem 2015; 26(5):455-465. Good M, et al. Br J Nutr 2016; 116(7):1175-1187. Castillo-Courtade L, et al. Allergy 2015; 70(9):1091-1102. *** Marriage BJ, et al. J Pediatr Gastroenterol Nutr. 2015;61(6):649-58. Sprenger N, et al. Eur J Nutr. 2017.56(3):1293-1301. 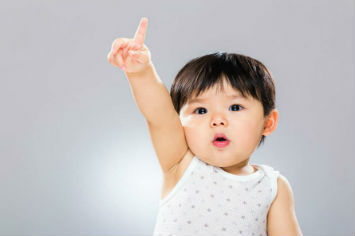 Expert Talk: How can 2'-FL give your little one's immunity a strong start? Breast milk is the gold standard as far as nutritional recommendations go. 1Vázquez E et al. Abstract presented at the 50th Congress of European Society for Paediatric Gastroenterology, Hepatology and Nutrition (ESPGHAN). 2016. 2Yu ZT, Chen C, Newburg DS. Glycobiology. 2013 Nov;23(11):1281-92. 3Underwood MA, Gaerlan S, De Leoz ML, Dimapasoc L, Kalanetra KM, Lemay DG, German JB, Mills DA, Lebrilla CB. Pediatr Res. 2015;78(6):670–677. doi: 10.1038/pr.2015.162. 4Perdigón, G., Fuller, R., Raya, R. Curr. Issues Intest. Microbiol. 2001;2:27–42. 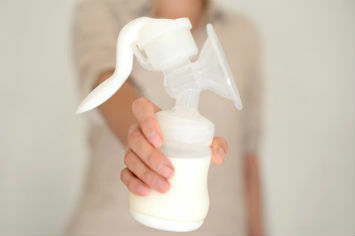 ^ Based on GNPD data, Abbott is the first company in the world to launch formula milk with 2’-FL. Congress of European Society for Paediatric Gastroenterology, Hepatology and Nutrition (ESPGHAN). 2016. 2 Yu ZT, Chen C, Newburg DS. Utilization of major fucosylated and sialylated human milk oligosaccharides by isolated human gut microbes. Glycobiology. 2013 Nov;23(11):1281-92.
absorption, excretion, and influence on the intestinal microbiota. Pediatr Res. 2015;78(6):670–677. doi: 10.1038/pr.2015.162. 4 Perdigón, G., Fuller, R., Raya, R. Lactic acid bacteria and their e_ect on the immune system. Curr. Issues Intest. Microbiol. 2001;2:27–42.